If you have been denied entry to Canada or think you might, there are some things you must know before you attempt to enter or re-enter . Here are 5 factors that will help you in deciding what to do next. 1. Don’t panic: A lot of people are refused admission to Canada. It happens every day. Sometimes the Canada Border Security Agency (CBSA) takes a hard line and will refuse your admission for many reasons. 2. Reasons for Refusals: the most common reasons for denied entry are: a) past criminal record b) concern you may overstay your visit in Canada c) health reasons d) lack of proper documents. 5. Tell the truth: the worst thing you can do is lie or misrepresent your situation to a CBSA officer. There are harsh penalties for misrepresentation that could result in a bar to your entry. If you have been or may be denied entry say, because of a DUI or other reasons, you do have options. You may qualify for what is known as a Temporary Resident Permit (TRP). A TRP is a document issued by the Canadian government that will allow you to enter Canada for a temporary period despite your inadmissibility. Where do you apply for your TRP? In most cases, applying for a TRP is done at the Canadian Embassy. Processing can take a number of months. You may be called in for an interview. The other way of applying is though the Canadian/US border. Americans and other nationals of visa-exempt countries can apply at the border. Applying at the border comes with some risks. Yes it is fast instantaneous processing. However, you run the risk of refusal which means that you could be turned at way and sent home on the spot. 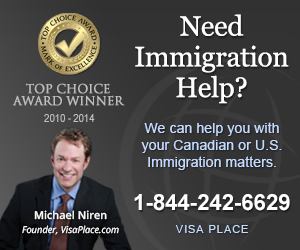 Need help with denied entry to Canada?